In this video, I will demonstrate simple and clever building techniques so that we can get going with the TomTecT game. 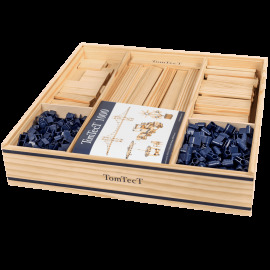 TomTecT is a wooden building game invented by Tom van der Bruggen (the creator of Kapla) and distributed by the SAVA company. 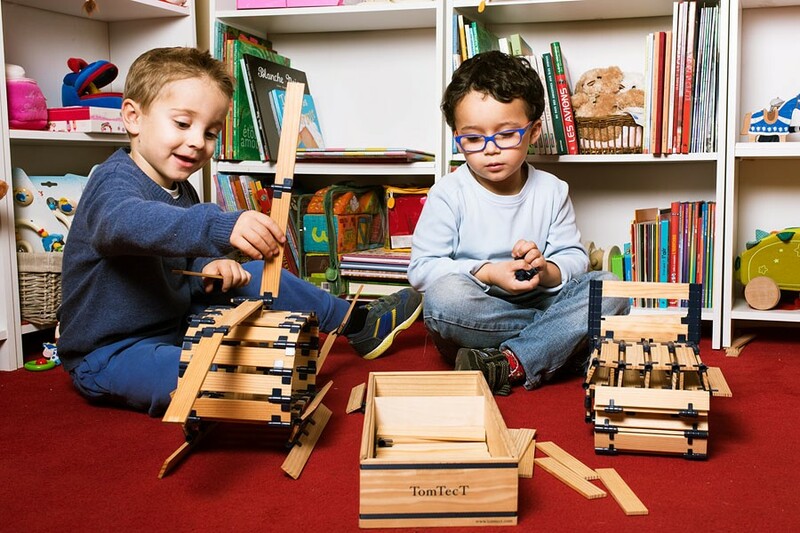 TomTecT is made of precision-manufactured pieces (wooden planks) from the sustainably managed pine forests in the Landes region of western France. The ﬁbres of the wood are parallel and even – the wood does not twist, thus this game is made of very high quality. 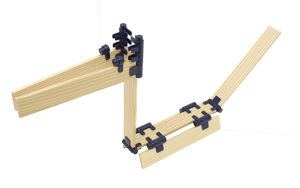 The hinges (clips) allow the precision elements in wood to be linked and joined to create light, elegant and stable structures. TomTecT is an intelligent game, created so that children can get used to using their motor skills and build in a clever and fast manner and so that they can also, if they wish, evolve the designs by changing from one shape to another. Monuments, animals, instruments, shapes… TomTecT is an inﬁnite source of creativity which develops imagination, motor and thinking skills, concentration and spatial awareness. This game is aimed at children 5 and has no age limit. It is recommended by children, teenagers, students who study architecture or design arts, not forgetting the parents too! 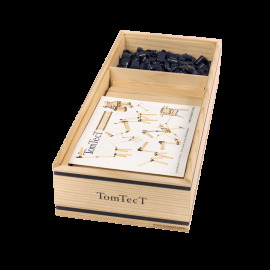 TomTecT takes the players back to the love for natural materials, this intelligent game is designed for children to become good with their hands and build creative structures. In this video, I show you simple and clever construction techniques, to get started with the TomTecT game. With TomTecT, have fun for hours learning and developing your creativity cleverly and quickly. You can create and recreate millions of times more wacky objects than the others. Every new creation is like an added value to your little world of architect.rnWith TomTecT, enjoy! The 1000 Box is Tom van der Bruggen's latest creation presented in a preview showing during the 2015 International Games Festival in Cannes. It contains 368 wooden pieces, 140 small hinges, 200 large hinges, 300 double hinges and two instruction booklets. The 190 Box is Tom van der Bruggen's latest creation presented in a preview showing during the 2016 International Games Festival in Cannes. 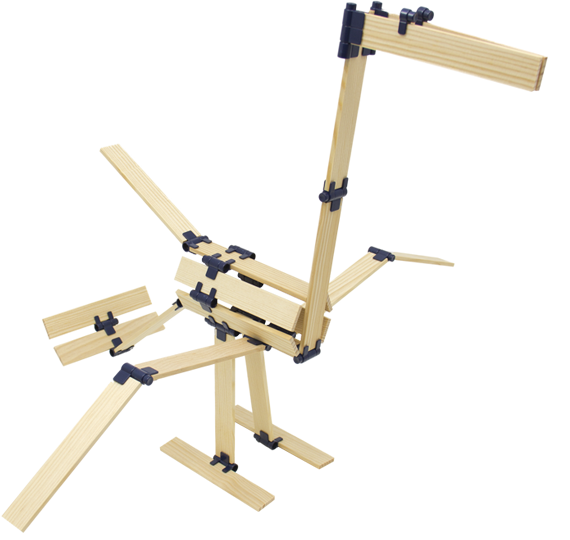 It contains 90 wooden pieces, 30 small hinges, 30 large hinges, 40 double hinges and one instruction booklet.